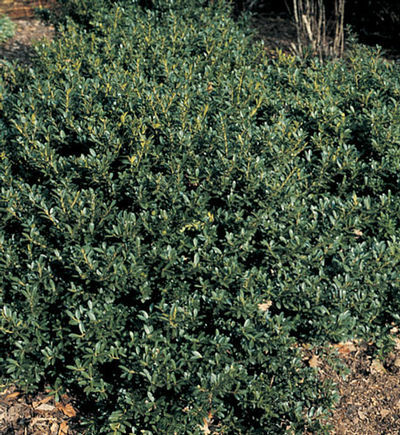 A low growing dense, mounding and compact evergreen with excellent dark green shiny flat leaves. Grows twice as wide as it does tall and does well in full sun or partial shade. Little or no pruning is need making this a maintenance free plant. A good foundation plant or border hedge. We offer Hoogendorn 18" to 24" in a 5 gallon container. Fertilize in spring with an all purpose fertilizer before new growth begins. Click on the "About Us" tab to find planting instructions.